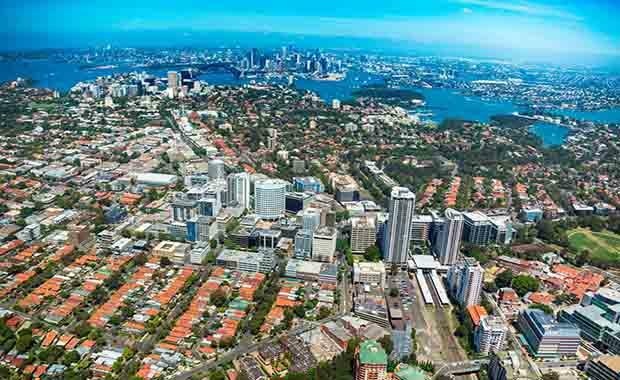 A development site in Sydney’s Lower North Shore suburb St Leonards has been announced, with plans set to add to the growing residential offering of the area. The site, which is located on Northcote Street, is being managed by JLL’s John Macree, Leslie Cheng and Dylan McEvoy and has approved zoning permits for residential shop-top housing. According to JLL’s director in charge John Macree said that the area has previously been used as a commercial site, but due to new zoning, it is becoming more residential. “St Leonards has traditionally appealed to commercial occupiers, with the area having previously been zoned for commercial and industrial uses, but with new zoning controls it is becoming a strong and vibrant residential area,” Mr Macree said. According to the St Leonards Public Domain Strategy, as a way to encourage the development of St Leonards, residential spaces have been increased to meet the policy by the State Government to provide residential buildings close to public transport. The North Sydney Council has also given floor space ratios on commercial and residential buildings, as well as increasing the height as a way to provide more residential growth. McEvoy stated that they are expecting a large amount of interest from local, state and Asian development groups. “We have received over 100 enquires on a number of other development sites in the area that are currently on the market and anticipate a similar response,” McEvoy said. The property that currently exists on the site is three separate two-three storey commericial buildings which are used for offices, workshops and an underground car park. The site is for sale through expressions of interest and ends on Wednesday, November 26th.